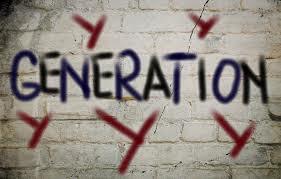 With all the hype about Millennials, Generation Xers are often overlooked by marketers regarding their consumer power. They are the third largest population in the U.S. with 60 million adults falling between the ages of 35 and 55. More importantly, they are the largest influencers with 47% of Gen Xers supporting an aging parent and a grown child. Even more surprising is that they spend more than 31% of their total income giving them more spending power than any other generation (American Express). They are also expected to double their percentage of the national wealth by 2030 (Deloitte). Born between 1960 and 1980, Gen Xers are also using digital ways of communicating and shopping utilizing their smartphones and laptops more than their millennial counterparts. At 70% they dominate the marketplace in terms of tablet use (Cook + Schmid). They have over 6 million Gen Xers with either a household income of $250,000 or more and a net wealth of $1,000,000 or more making them a powerful and influential consumer force. 50% of the entire Gen Xer population and 67% of the wealthier Gen Xers plan to travel for vacation each year; 33% of the Gen Xers and more than 50% of the wealthier Gen Xers plan on purchasing what would be considered a luxury item; and 40% are brand loyal. 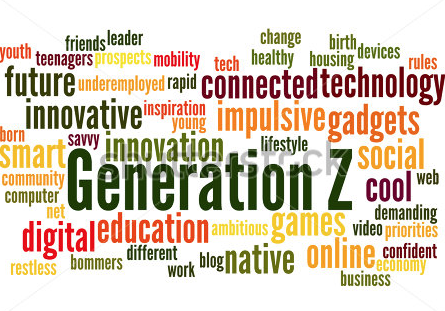 Gen Xers often feel neglected by marketers and it is important for companies to maximize their efforts towards this generation. Companies benefit from a multi-platform approach to marketing their products to this generation. The 4DV Cause Marketing Team is uniquely positioned to help consumer and corporate interests come together by engaging Gen Xers through the targeted media efforts and messages. Our years of experience in marketing, making visions a reality, can help you connect with the right audience at the right time with the right message. Although there is some debate about the exact age range of millennials, there is no debate as to their buying power. With over 80 million millennials somewhere between 18 and 40 years of age in the U.S., they average $200 billion in purchases every year (Forbes 2017). They also exert a great deal of influence on the buying tendencies of older generations. Given their general skepticism about traditional advertising, millennials rely on social media for purchasing decisions more than previous generations and strongly champion causes they believe in. Millennials see it as important to support corporations and brands who support their community. Companies benefit from a multi-platform approach to marketing their products and the causes they support. The 4DV Cause Marketing Team is uniquely positioned to help nonprofits and corporate interests come together for a common good. Our years of experience in marketing, making visions a reality, can help you connect with the right audience at the right time with the right message.